Root canal surgeries have gained a bad reputation over the years. However, having one done can save your teeth and prevent other significant oral health problems. In reality, the reputation root canals have received as a painful procedure is undeserved. According to the American Association of Endodontists, patients who have had a root canal are three times as likely to say it is no more uncomfortable than any other procedure than people who have not had it performed. The alternative of living with an untreated infected tooth is far more painful than a root canal. The nerves of your tooth can become damaged for a variety of reasons, including decay, disease, and facial trauma. When this happens, the affected tooth develops pus that can become infected. If the pus starts leaking from beneath the tooth, it can damage the bone surrounding it. This can lead to an abscessed tooth, a painful dental condition requiring immediate treatment. It’s important to keep in mind that having these symptoms doesn’t necessarily mean you have an infection that requires a root canal. Even so, it’s always better to err on the side of caution and contact Alpha Dental to report any new, unusual, or worsening symptoms. Occasionally, a patient can have an infected tooth without any of the above symptoms. That’s why coming in for your regular check-ups is so important. These appointments give Dr. Ahmed the opportunity to look for an infection and treat it immediately if he finds one. 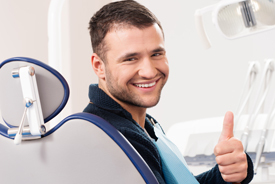 After you arrive at Alpha Dental, the dentist numbs the tooth and gums in preparation for the root canal. The next step is to identify and remove infected pulp from the root of the affected tooth. The dentist then cleans the inside of your tooth and places a seal on it to guard against bacteria from entering again. Lastly, the dentist places a crown on the treated tooth to further guard against infection. The crown also helps you chew normally and reduces the pain you may experience after the procedure. If you are dealing with chronic pain in one of your teeth, don’t ignore it. 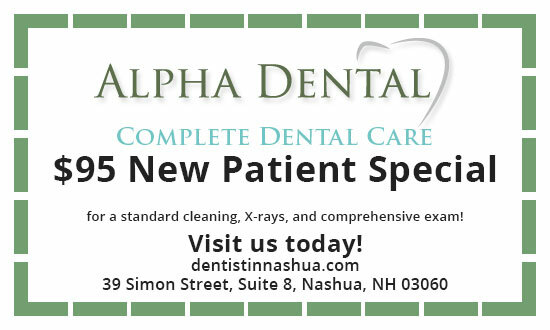 Please call Alpha Dental right away so we can determine whether you have an infection that requires a root canal.